Are You Ready To Get Rewarded For Your Support? Join the thousands of NRA certified instructors, affiliated clubs, independent businesses and dedicated members who are already participating in NRA membership recruiting. 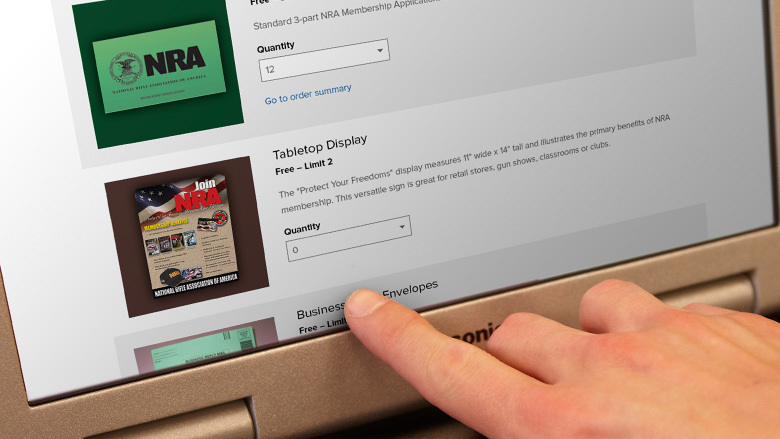 This program provides a great opportunity for you to not only strengthen the NRA by increasing membership, but also to earn up to $25 for every new and renewing membership at the same time! There is no cost to enroll, so get started and apply today! Program participants are furnished with NRA recruiting materials and online recruiting tools for free, as well as effective recruiting tips and techniques. The NRA has room for all types of people to recruit new members. Read the descriptions below and decide which one sounds the most like you. 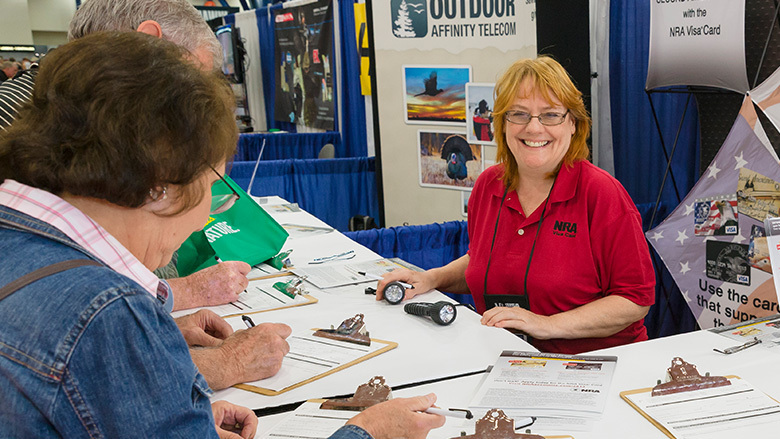 To help you get started, you'll receive an assortment of useful materials such as membership applications, postage-paid return envelopes and other promotional items, as well as an NRA Recruiting Operating Guide. Having the right recruitment tools at the right time can mean the difference between success and a missed opportunity. Sign up for our weekly "E-Cruiter" email updates and we'll send you news, promotions and strategies to help you succeed. 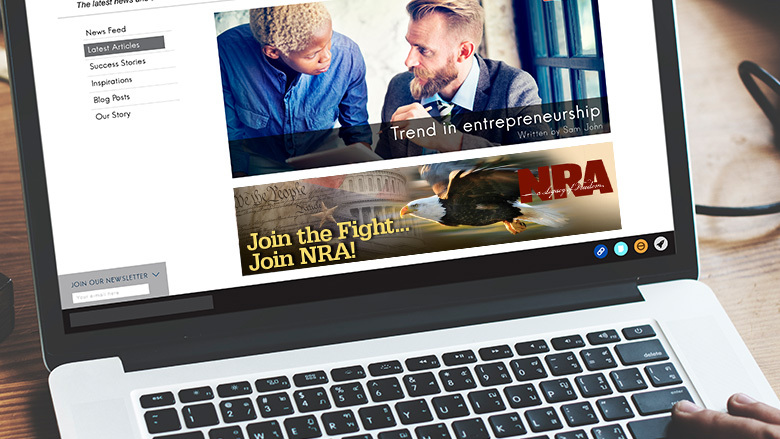 Supercharge your online recruiting with NRA-branded graphics and links you can place on your personal, business and enthusiast websites. Immediate openings exist for sales-oriented individuals interested in recruiting at public events such as gun shows, political rallies and local gatherings. 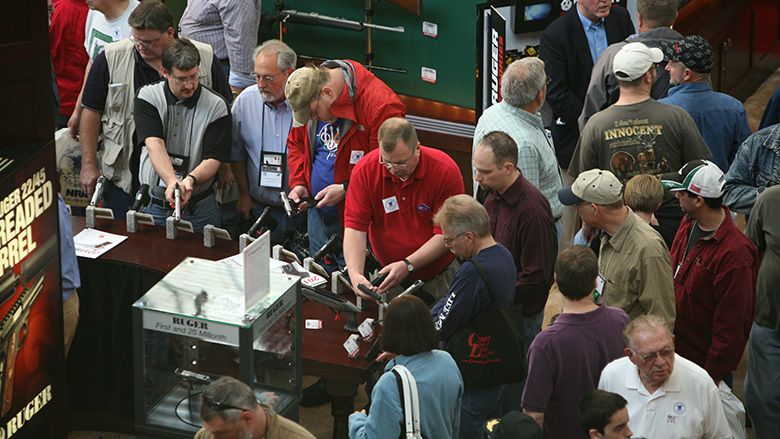 These events are fantastic opportunities to connect with like-minded folks and bring new members into the NRA fold. 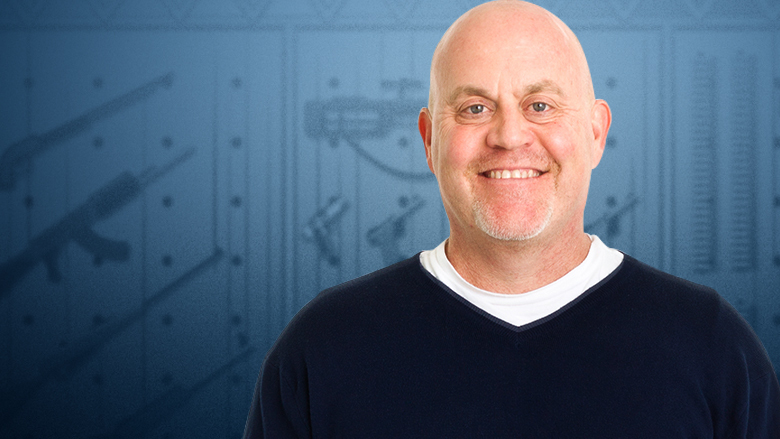 The highest-ranking Recruiters are here! Stay informed on Recruiting updates. 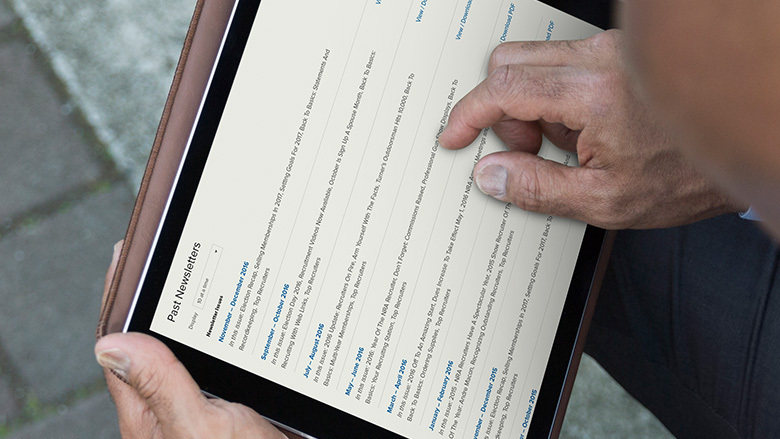 Read the latest or browse the archives. Get expert help with toll-free technical support from the NRA Recruiting Programs staff at 1-800-672-0004.